Last month Carnival released a list highlighting the top 14 mobile agencies in New York. Following up on this, we wanted to profile the some of the best mobile agencies in London and the greater United Kingdom. With 137 to choose from, this was a tough task to break it down to just 13, however, we believe each and every one of these deserve to be included due to their impressive portfolios of apps. If you’re looking for mobile developers with a track record of success and notable eye-to-detail in the UK, these 13 mobile agencies (not in rank order) should be a perfect place to start. 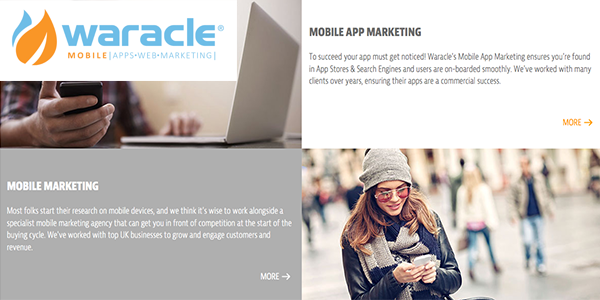 Waracle is a full solutions mobile agency, offering development services like complete app production and feature upgrades, as well as mobile marketing, app management and optimization. While they can build apps from the ground up, they believe in not “re-inventing the wheel,” offering pre-written modules for field sales apps, healthcare apps, event apps, tourism apps, and more. 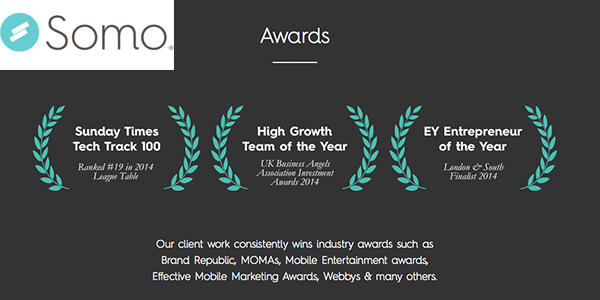 Their long list of app clients includes well-known names like H&M, Virgin Atlantic, Honda and the 2014 Ryder Cup. Ustwo has earned a spot on this list because, simply put, they build beautifully designed, user-friendly app experiences. With their own Monument Valley mobile game, recognized Apple Game of the Year 2014 and winner of Apple Design Award 2014, and relaxation and meditation app PAUSE at #3 in the App Store for paid apps, these guys certainly understand innovative app design. 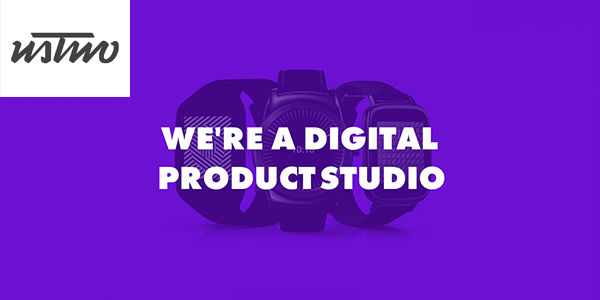 Ustwo prides itself on partnering with smart clients looking to launch new products, services or even companies, such as live music discovery platform, DICE. Ribot has made a name for themselves in the mobile industry by focusing on innovative retail experiences that mix loyalty and frictionless payment, with beautifully simple design. Harris + Hoole, their multi-award-winning loyalty and coffee payment app, and the Tesco Groceries app, are prime examples of their ability to build beautiful retail experiences that are simple and easy to use. The Tesco app took nine months to research, design and build, and only 1 week for Tesco to make their money back. Nodes Agency, with offices in both London and Copenhagen, produces both consumer-facing service apps, as well as internal-facing enterprise utility apps – an arena that many mobile agencies have yet to touch. Some of their best work can be seen with their Crowdit app for Carlsberg beer and Snapp it! for Scotland’s railroad stations and trains. Crowdit is a B2C campaign platform tool where users can find and redeem vouchers and Carlsberg special offers on behalf of the brand or local bars with Carlsberg on tap. Snapp it! focuses on improving Scotland transit, allowing ScotRail staff and customers snap a photo to report issues and concerns. 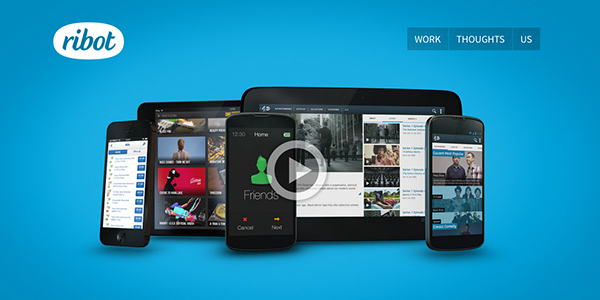 Portfolio examples: Crowdit, Snapp it! Future Platforms specializes in building products that focus on utility – so much so, that they challenge clients to define exactly how their app will improve a process or experience for the end-user. Their insistence on bringing app users value works – their Glastonbury Music Festival App boasts over 4.1 million app opens during this year’s 4-day festival alone. But Future Platforms’ best work is showcased through their nine-year partnership with Domino’s Pizza, whose multichannel app generates £5 million in sales each week and represents nearly 70% of sales. Locassa touches multiple app verticals, including social, health and fitness, education, music and in-store experiences. 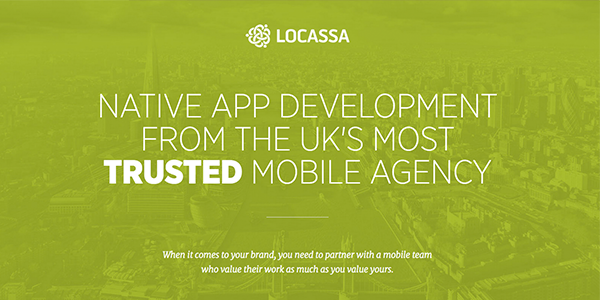 What truly sets Locassa apart is their ability to deliver app experiences that beautifully align with the client’s brand image and target customer. Their hydration reminder app, iDrated is frequently featured in health media and has been both number one in the App Store overall, as well as number one several times in its Health and Fitness category. And their app, The Accent Kit, is a go-to tool for actors practicing new dialects. 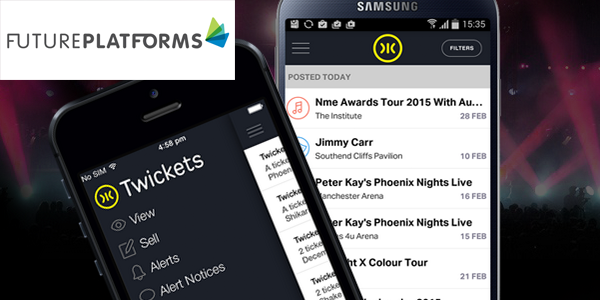 Somo is one of the London and international mobile scene success stories. Originally launching in 2009, Somo has since opened offices in Bristol, San Francisco and New York. 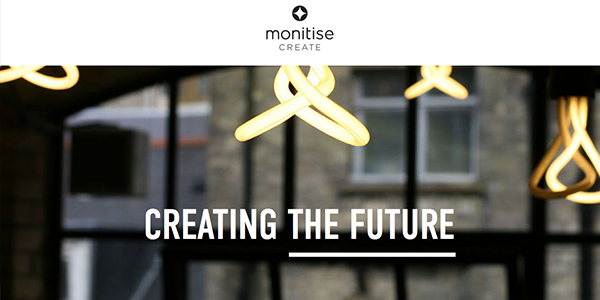 Their mission is to help you increase sales, drive customer engagement and productivity. Their De Beers Diamonds “For You, Forever” service, which allows visitors to craft their own diamond engagement ring, is a great example of their talent for not just designing apps, but actually driving results. They created a luxury in-store experience and sales tool for brand ambassadors, which was cash flow positive in just two weeks! Located in Manchester, Apadmi has been fortunate to work with many of the world’s high profile household names like the BBC, X Factor and the Guardian, as well as large FTSE 100 corporations like AstraZeneca, EE and BT. 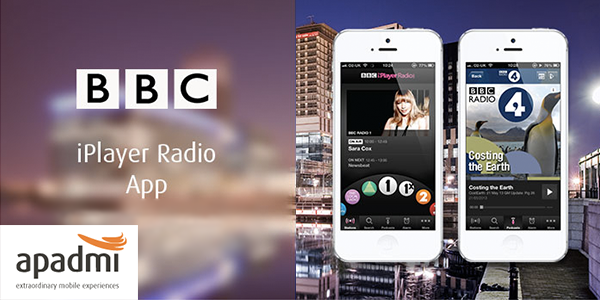 Check out their BBC iPlayer Radio app, which unites BBC Radio stations in one interactive and award-winning media hub. They’re also recognized for their work with the NHS to modernize the paper-based healthcare process through a tablet app that boosts efficiencies and patient care. Based in Bristol Temple Quay, Sybite has an impressive variety of successful apps that range multiple categories. Sybite boasts over 280 customers from small businesses to Fortune 500s. Whether you want to buy a new pair of shoes with Stylect, hit the clubs with Nightlife, have a gourmet chef cooked meal delivered to your door with EatFirst, or burn off all those calories with Quick Fit 7 Minute Workout, they have it all. Headquartered in Brighton with offices in London and Amsterdam, Brightec’s apps have received hundreds of thousands of downloads, transforming conversion rates and delivering ROI to keep their clients ahead of competitors. Their lowcostholidays app was the first of its kind to offer a complete holiday booking experience – flights and hotel – within one app. 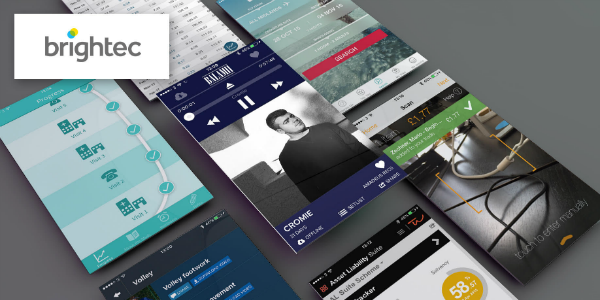 Also check out balamii, their revolutionary music discovery app. 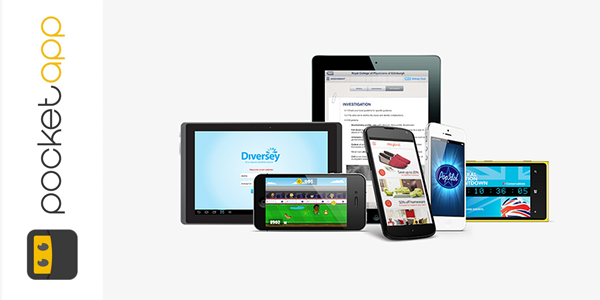 Pocket App is the UK’s largest independent app developer and has been around since 2010. 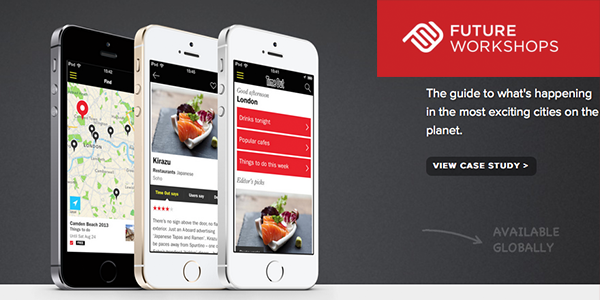 Some of their best mobile apps span the charity, healthcare, retail and hospitality sectors. Their Med eTrax internal app for hospitals and healthcare professionals, is revolutionizing how doctors and nurses communicate patient observations and assessment protocols. Lastly, be sure to check out their My Poppy digital donations app for The Sun newspaper’s Poppy Appeal campaign, which is a finalist for the UK Digital Experience Awards. Interested in partnering with Carnival? We’d love to work with you! 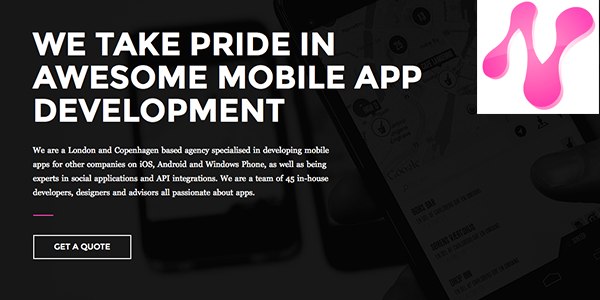 Learn more about our Mobile Agency Partner Program here. 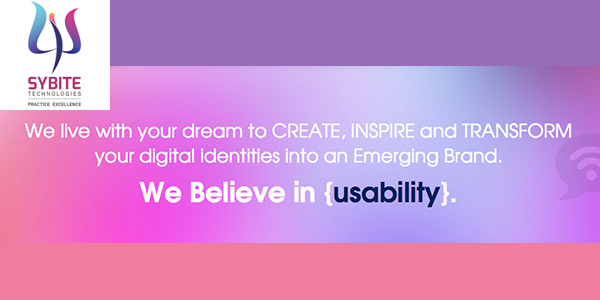  Archived in Mobile Agencies and tagged best mobile agencies, Carnival, Future Platforms, Future Workshops, locassa, mobile agencies, monitise create, Nodes Agency, somo global, UK mobile agencies, Ustwo. Bookmark the permalink.